Posted on: January 17th, 2019	by Melanie C. and Jennifer A. We created this list of Philadelphia museums with free admission in 2019, based on information we’ve been sharing for years. We update this at least twice a year so you’ll always have the most up-to-date information on free museums in Philadelphia. 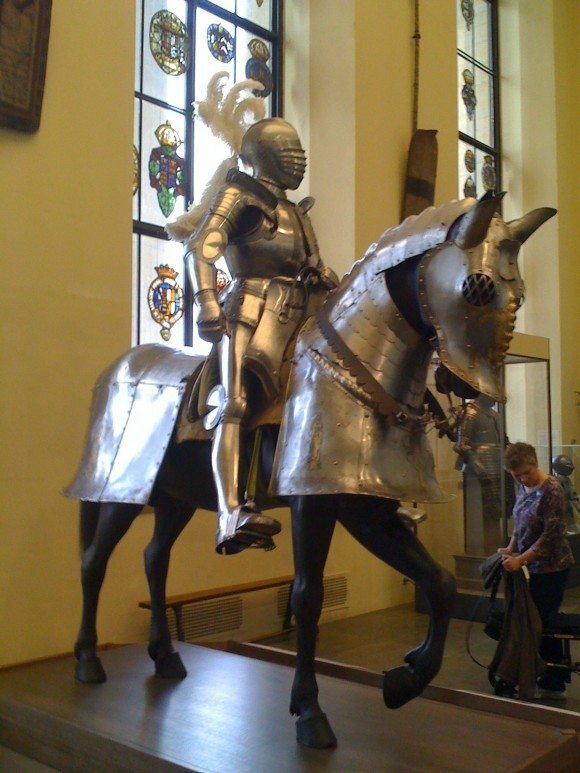 Which free museums in Philadelphia will you visit with your kids? With Philadelphia so easy to get to and there being so many things to do in Philly, it would be wrong of us to not share with you about all the free things to do with kids in Philadelphia. Not only are there free activities but on weekends and holidays kids can travel for free into Philadelphia on NJ Transit. If you haven’t been to Philadelphia before with the kids or recently, get out the calendar. Take a look at this list of Philadelphia museums with free admission and start planning where you want to go and when. Some of these Philadelphia museums have FREE admission, some have a suggested admission. That suggested admission is just that; a way of getting a set donation from everyone that comes through the door. You will often hear it called Pay What You Wish. It is your decision as to what to give for entry. Some also offer select days when admission is completely free. Keep reading and start making an itinerary of free things to do in Philadelphia! Not interested in Philly yet? Would you rather go to NYC? To find out about FREE New York City museums, visit our New York City Museums with FREE Admission & Pay What You Wish Days. There are over 10 free museums in Philly for free places to go in Philadelphia. The museum is housed in a renovated 1902 firehouse. Fireman’s Hall Museum is one of the nation’s premier fire museums focused on the preservation of Philly fire history and promoting fire safety. Open on the first Friday of each month until 9 PM. The Fireman’s Hall Museum is located at 147 North 2nd Street in Philadelphia. Parking for the Fireman’s Hall Museum is available at Old City Parkominium 231 N 2nd Street. Bring your parking stub to the front desk for validation and receive a discount. For more information about the Fireman’s Hall Museum at their website or contact them at (215) 923-1438. View the coining operations from 40 feet above the factory floor. See the first coining press, used to strike our nation’s first coins in 1792, and other historic artifacts. Marvel at the seven glass mosaics created by Tiffany of New York to celebrate the opening of the Third Mint building in 1901. These five foot treasures highlight the coining processes in ancient Rome. Meet Peter the Mint Eagle, a real Bald Eagle who made the First United States Mint his home. Today’s Mint artists still study Peter when working on new eagle designs. Closed Federal Holidays including Martin Luther King Jr’s Birthday and President’s Day. Reservations are not required for self-guided tours. U.S. Mint at Philadelphia is located at 151 N. Independence Mall East (5th and Arch street), Philadelphia, PA 19106. Parking for the U.S. Mint is available at local garages. The U.S. Mint does not provide parking. For more information about the U.S. Mint at their website or contact them at (215) 408-0112. The National Historical Park includes Independence Hall and the Liberty Bell. The Declaration of Independence and U.S. Constitution were both debated and signed inside Independence Hall. Nearby sits the Liberty Bell, an international symbol of liberty. Admission to both is free but timed tickets are required for Independence Hall and available on site. The Independence Hall is located on Chestnut Street between 5th and 6th in Philadelphia. The Liberty Bell is located at 6th and Market Streets. Parking for the National Historical Park may be available (fee applies) at the Philadelphia Parking Authority’s AutoPark at Independence Mall, an underground garage located directly below the Independence Visitor Center. For more information about Independence Hall and the Liberty Bell visit the Independence National Park website here or contact them at (215) 965-2305. Christ Church, the birthplace of the American Episcopal Church, was founded in 1695 as a condition of William Penn’s Charter. Known as “The Nation’s Church,” it hosted members of the Continental Congress during the American Revolution and Presidents George Washington and John Adams in the first decade of the newly established Republic. Dating to 1744, the current building has been cited as “our finest Early American church” and one of the finest Georgian structures in America. For 56 years, the steeple made Christ Church the tallest structure in North America. Christ Church is a privately managed historic site that is an official component of Independence National Historical Park. An active Episcopal parish, the church hosts daily historical talks and tours. Christ Church is located at 20 N. American Street (On 2nd, above Market Street) in Philadelphia. You can find parking near both Christ Church and the Christ Church Burial Ground. You can visit The Christ Church website here or contact them at (215) 922-1695. Carpenters’ Hall hosted the First Continental Congress in 1774 and was home to Franklin’s Library Company, The American Philosophical Society, and the First and Second Banks of the United States. The Hall has been continuously owned and operated by The Carpenters’ Company of the City and County of Philadelphia, the oldest craft guild in America, since 1770. Today, Carpenters’ Hall is free to the public and welcomes over 150,000 world-wide visitors to this wonderful Georgian building. Admission has been complimentary since 1857, when it became the first privately owned American building to be opened as a historic monument. Closed Mondays year round, Tuesdays in January and February. Carpenter’s Hall is located at 320 Chestnut Street in Philadelphia. Parking for Carpenter’s Hall is available in nearby garages and lots. For more information visit the Carpenter’s Hall website here or contact them at (215) 925-0167. The site includes the unfurnished home where Poe resided, and an adjacent home with exhibits and the Reading Room. Many visitors stay at the site for several hours, exploring the home, reading the exhibits, and listening to Poe’s tales and poems on CD in the Reading Room. The Edgar Allen Poe National Historic Site is located at 532 N. 7th Street in Philadelphia. Parking for the Edgar Allen Poe National Historic Site is available on street. For more information visit Edgar Allen Poe National Historic Site website here or contact them at (215) 965-2305. The Rodin Museum offers a verdant, intimate setting in which to enjoy some of the world’s most renowned masterpieces of sculpture. With nearly 150 bronzes, marbles, and plasters, the distinguished collection housed in the Rodin Museum represents every phase of Auguste Rodin’s career. Located on Philadelphia’s Benjamin Franklin Parkway—which was intended to evoke the Avenue des Champs-Élysées in Paris—the elegant Beaux-Arts–style building and garden offer an absorbing experience. The Rodin Museum is located at 2151 Benjamin Franklin Parkway in Philadelphia. Limited metered parking available on the Benjamin Franklin Parkway, N 21st Street, and N 22nd Street. Parking also available at the Philadelphia Museum of Art’s Parking Garage (located across from the main building on Anne d’Harnoncourt Drive). 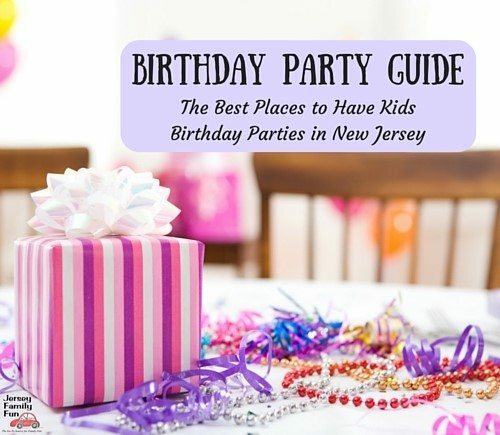 For more information visit The Rodin Museum website here or contact them at (215) 763-8100. The Fabric Workshop and Museum (FWM) is an internationally acclaimed contemporary art museum devoted both to the creation and presentation of innovative works of art. They offer family programs as well. The Fabric Workshop and Museum is located at 1214 Arch Street, Philadelphia, PA 19107. Parking is available at the museum for a fee. For more information about the Fabric Workshop and Museum visit their website here or contact them at (215) 561-8888. Explore the amazing successes, astonishing failures, and strange surprises behind the scientific discoveries that have changed our world at the Science History Institute. Science History Institute is located at 315 Chestnut Street Philadelphia, PA 19106. There are several parking garages located near the Institute. For more information about the Science History Institute visit their website here or contact them at (215) 925-2222. The Polish American Cultural Center and Museum Exhibit Hall are a focal point for many Polish American affairs in the greater Philadelphia area. The Cultural Center’s Exhibit Hall, located in the heart of this district allows thousands of tourists to experience Polish history, culture and pride. The Polish American Cultural Center is located at 308 Walnut Street, Philadelphia, PA 19106. Limited metered parking available on the Benjamin Franklin Parkway, N 21st Street, and N 22nd Street. For more information about The Polish American Cultural Center visit their website here or contact them at (215) 922-1700. Located in Burholme Park, Ryerss Museum has an extraordinary and eclectic collection that includes generations of family heirlooms, paintings, sculpture, decorative art, and a vast array of Asian art and artifacts. The Ryerss Library has a wide variety of current best sellers, children’s books, periodicals, and popular non-fiction. The Ryerss Museum is located at 7370 Central Ave Philadelphia, PA 19111. There is a free parking lot behind the building. For more information about The Ryerrs Museum visit their website here or contact them at (215) 685-0544. The Institute of Contemporary Art at the University of Pennsylvania believes in the power of art and artists to inform and inspire. Founded in 1963 ICA has developed an international reputation as a preeminent venue for contemporary art and culture. A non-collecting museum, ICA is also one of the only kunsthalles in America. They offer family programs as well. Open Wednesday – Sunday 11 AM – 6 PM with extended hours until 8 PM on Wednesday. The Institute of Contemporary Art is located at 118 South 36th Street, Philadelphia, PA 19104. For more information about The Institute of Contemporary Art visit their website here or contact them at (215) 898-7108. Founded in 1855, the Wagner Free Institute of Science is dedicated to providing free public education in science. Its programs include free courses and lectures, field trips and lessons for children and museum tours for all ages. You can visit The Wagner Free Institute of Science website here or contact them at (215) 763-6529. The Wagner Free Institute of Science is located at 1700 West Montgomery Avenue Philadelphia, PA 19121. Garage parking is available at Temple’s Liacouras Center; the garage entrance is on 15th Street, below Montgomery Avenue. For more information about The Wagner Free Institute of Science visit their website here or contact them at (215) 763-6529. Franklin Institute. Located in the heart of Philadelphia, The Franklin Institute is one of America’s most celebrated museums—a renowned leader in science and technology. Read more about this museum in our articles listed here. Doors open at 5 PM – 8 PM for free admission. The Franklin Institute is located at 222 North 20th Street in Philadelphia, Pennsylvania. Parking is available on the street and other nearby Philadelphia parking garages. For more information about The Franklin Institute, read our article, FREE Admission Days At the Franklin Institute, visit their website, or contact them at (215) 448-1200. 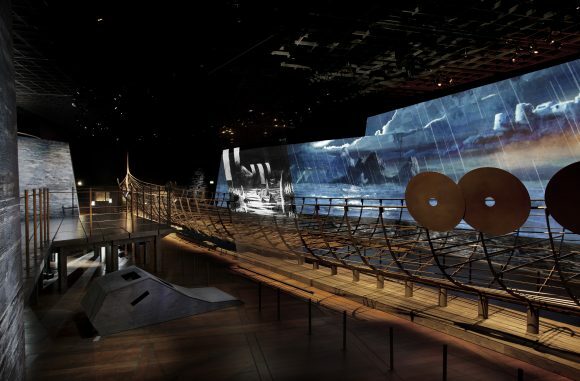 View the Rosklilde at the VIKINGS: BEYOND THE LEGEND at the Franklin Institute UNTIL March 2019. Philadelphia Museum of Art. Discover works of art at one of the largest and most renowned museums in the country. Find beauty, enchantment, and the unexpected among artistic and architectural achievements from the United States, Asia, Europe, and Latin America. 19130. Parking is not provided. 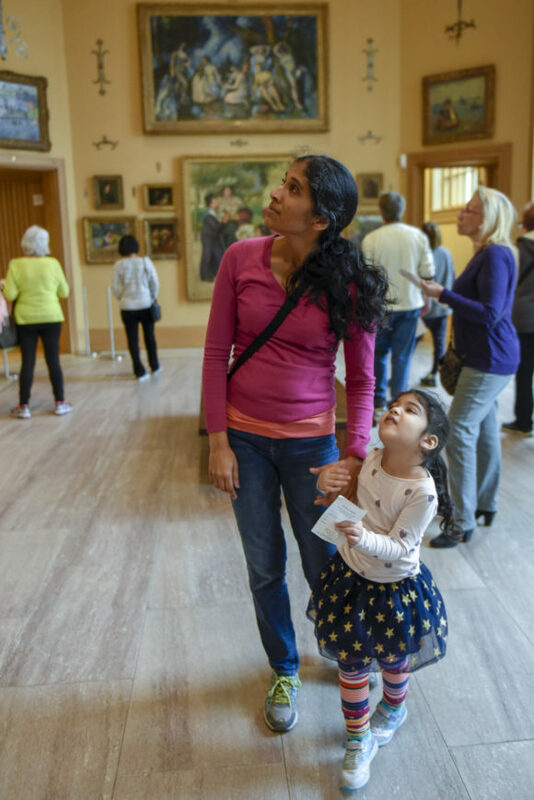 On Pay What You Wish Sundays, often called Philadelphia Art Museum free Sundays, the museum is open from 10 AM – 5 PM and pay what you wish is all day. Philadelphia Museum of Art also offers pay what you wish admission every Wednesday from 5 PM – 8:45 PM. The Philadelphia Museum of Art is located at 2600 Benjamin Franklin Parkway, Philadelphia, PA. Parking for the Philadelphia Museum of Art is available at the garage on Anne d’Harnoncourt Drive or Waterworks Drive. Museum visitors: $12 for first 4 hours, $2 for each additional hour. $5 Parking on Wednesday and Friday Nights. Parking ticket must be validated inside the Museum to receive these rates. For more information about the Philadelphia Museum of Art visit their website or contact them at (215) 763-8100. National Constitution Center. The Constitution Center features hundreds of interactive exhibits, engaging theatrical performances, and original documents of freedom. As America’s town hall, the National Constitution Center hosts constitutional debates across a range of broadcast and digital media platforms. As a national and international center for civic education, the Constitution Center offers cutting edge constitutional seminars, discussions, course materials, and interactive and digital resources for students of all ages. Traditionally offers free admission on President’s Day and Independence Week. National Constitution Center is at 525 Arch Street, Independence Mall, Philadelphia, PA 19106. Parking is available at the National Constitution Center Parking Garage – enter from Race Street between 5th Street and 6th Street. For more information about the National Constitution Center visit their website here or contact them at (215) 409-6600. 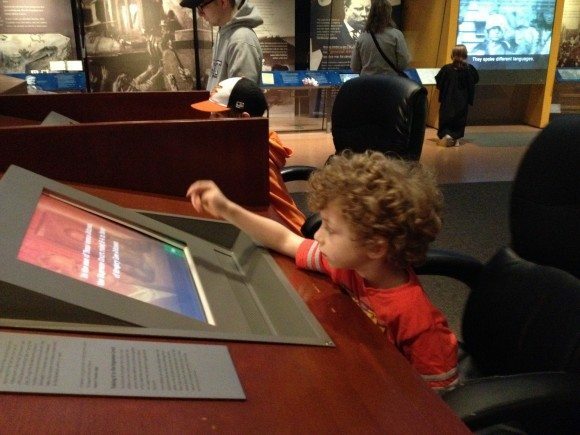 The National Constitution Center offers so many hands on activities for kids. Benjamin Franklin Museum. Explore Franklin’s life and character in the Benjamin Franklin Museum. The museum features artifacts, computer animations, and interactive displays. The exhibits are geared toward visitors of all ages, with displays that are educational, challenging, and fun. 4th Graders are eligible for the Every Kid in a Park program which admits the student and up to three adults. The Benjamin Franklin Museum is located in Franklin Court. Entrance to the courtyard is from Market or Chestnut Streets, between 3rd and 4th Streets. Parking may be available (fee applies) at the Philadelphia Parking Authority’s AutoPark at Independence Mall, an underground garage located directly below the Independence Visitor Center. Entrances to the garage are available on both 5th and 6th Streets, between Market and Arch Streets. There is also an AutoPark at Olde City garage (fee applies) on 2nd Street between Chestnut and Walnut Streets. For more information about the Benjamin Franklin Museum visit their website here or contact them at (215) 965-2305. The Barnes Foundation is located at 2025 Benjamin Franklin Parkway Philadelphia, PA 19130. Parking is accessible from Pennsylvania Avenue between 20th and 21st Streets. For more information about the Barnes Foundation visit their website here or contact them at (215) 278-7000. Discover works of art at one of the largest and most renowned museums in the country. Find beauty, enchantment, and the unexpected among artistic and architectural achievements from the United States, Asia, Europe, and Latin America. 19130. Parking is not provided. On Wednesdays, this Philadelphia art museum is open from 10 AM – 8:45 PM. The pay what you wish hours begin after 5 pm. 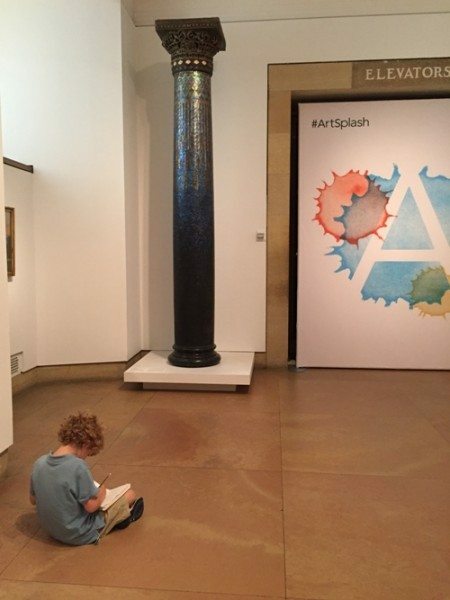 Inspired by the art, Jenn’s youngest sketches one of the sculptures at the Philadelphia Museum of Art. PAFA. PAFA is the nation’s first museum and school of fine arts, home to a world-class collection of American art, and a leader in fine arts education. Admission is free on Sundays 11 AM – 5 PM until March 31. PAFA is located at 118-128 North Broad Street Philadelphia, PA 19102. Discounted visitor parking is available at the Parkway Corporation Garage at the southwest corner of Broad and Race streets and at their outdoor lot at the northeast corner of 15th and Cherry streets. Be sure to get your ticket validated before you leave PAFA.). For more information about PAFA visit their website or contact them at (215) 972-7600. Didn’t see what you were looking for? Don’t give up yet – visit your library! Many NJ libraries offer free museum passes and we have a listing of the ones that do! Are you a Bank of America customer? You can get free admission to museums the first weekend of each month with their Museums on Us program. For all the details click here. The Please Touch Museum offers discount admission days. Get the details and schedule here. Grab one of these Philadelphia maps or travel guides before your next trip into Philadelphia. To find out about FREE New York City museums, visit our New York City Museums with FREE Admission & Pay What You Wish Days.